After having celebrated New Year and Carnaval it is now time to start the year really. As per today you can fill out and submit your income tax. This year, the application to fill out your income tax declaration has been available before March 1st 2012. According to the Receita Federal, anticipating the release of the application to facilitate the lives of those who need to state, helping to get familiar with the program. With this, the Receita Federal changes the system that prevailed in recent years, when it was available only on the day that began officially the delivery of application for the income tax. However, informs the Receita Federal, people have to wait until 8am on 1st March to send the statement, even if they fill out the form in advance. The deadline for submission is 23:59 on 30 April this year. For this reason, it is good to be aware. “Whoever fails to deliver is subject to a fine for delay, calculated as follows: there is tax due, the fine will be 1% per calendar month or fraction thereof of delay, incident on what is owed, even if fully paid, subject to the minimum values ? 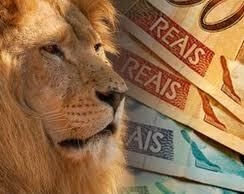 ?of R $ 165.74 and a maximum of 20% of this tax. However, there being nothing to pay, the fine will be R $ 165.74, “warns the tax expert Richard Domingue, CEO of Confirp Accounting. 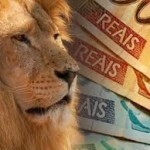 To facilitate the life of the taxpayer, MasterclassBrazil today brings a series of articles on the IRPF. Know who is obliged to declare, how to send the document, which models and how not to fall into the fine mesh.